Since 1926, generations of South Siders have hopped over to this Chicago institution for shakes, scoops and splits. The rest of us, meanwhile, have to make a journey to this out out-of-the-way stretch of Western Avenue in Beverly, or wait to get our annual fix at the shop’s Taste of Chicago stand. 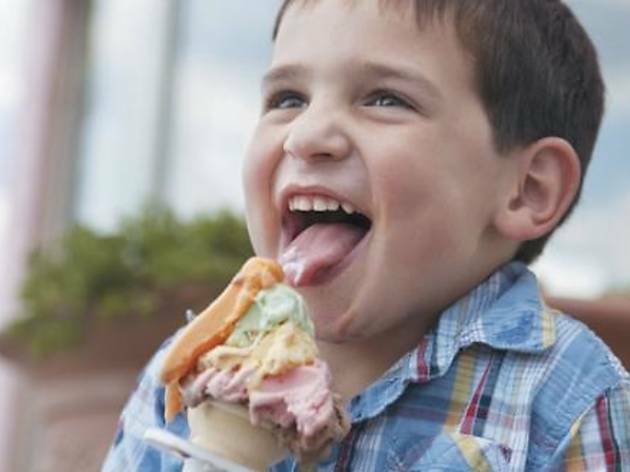 While nostalgia is undoubtedly a big draw—“I remember going to Rainbow Cone with my parents; it’s a family memory I now share with my daughter,” says one reader—the real attraction is Rainbow’s namesake cone, piled precariously high with consecutive scoops of chocolate, strawberry, Palmer House (that’s vanilla with cherry and walnuts), pistachio and orange sherbet. 9233 S Western Ave (773-238-7075).